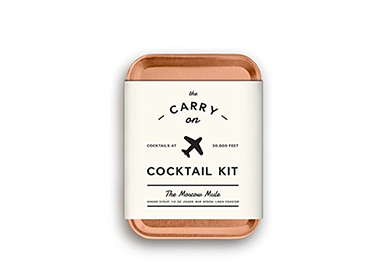 Falling asleep on a plane is a talent that eludes even the most seasoned of travelers. 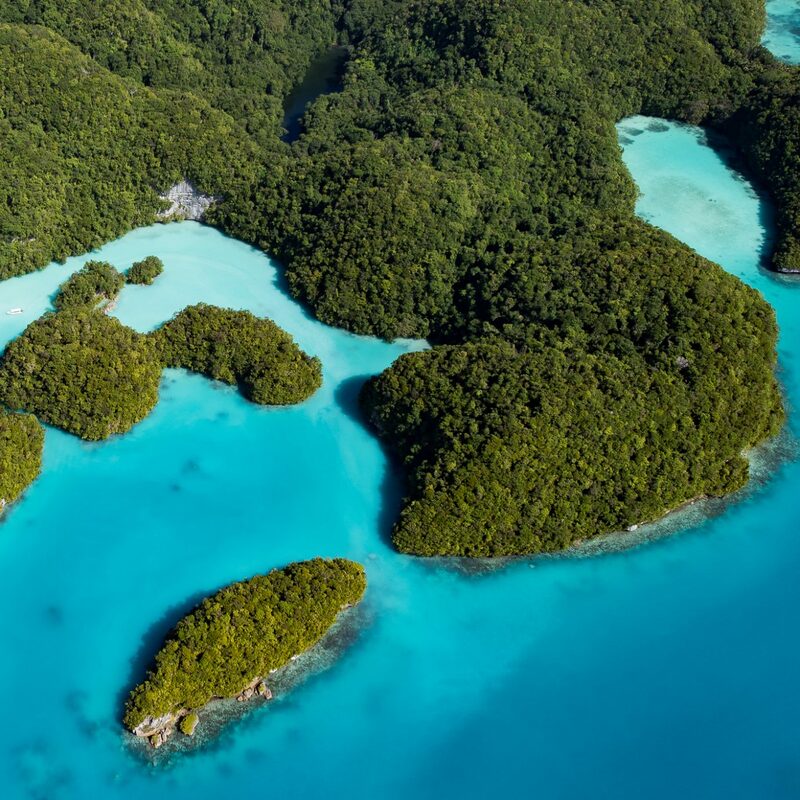 But before you go splurging on a first-class ticket or resorting to booze or sleeping pills, try investing in a great travel pillow. 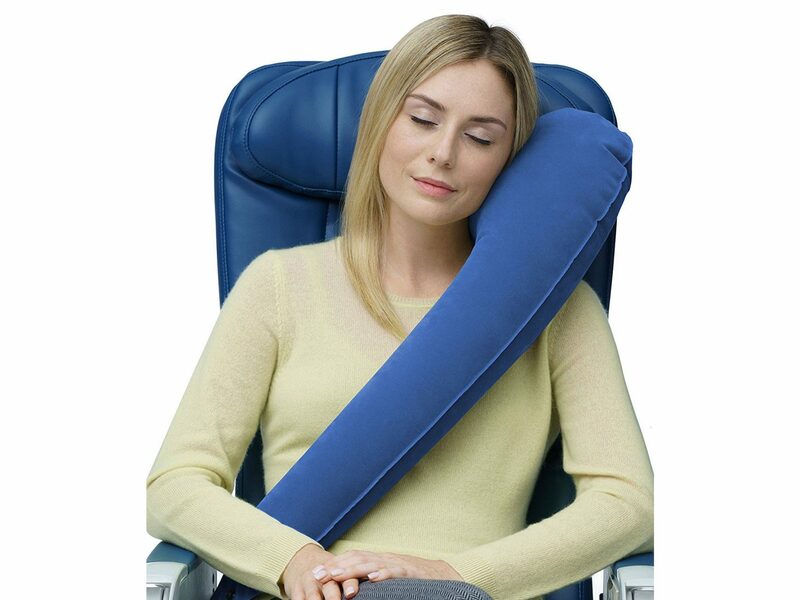 Sure, they're not the best looking, but they'll give you the comfort and alignment you need for successful in-flight snoozing. 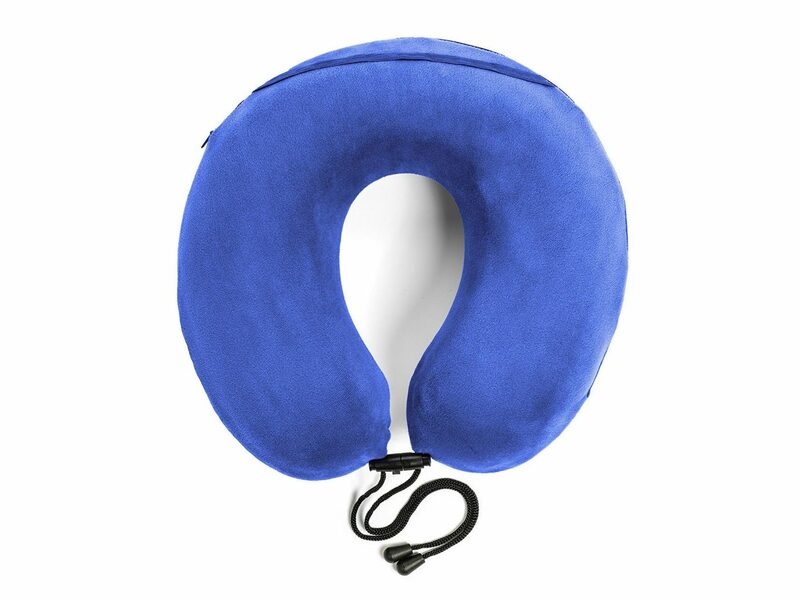 Below, 11 of the best travel pillows out there. 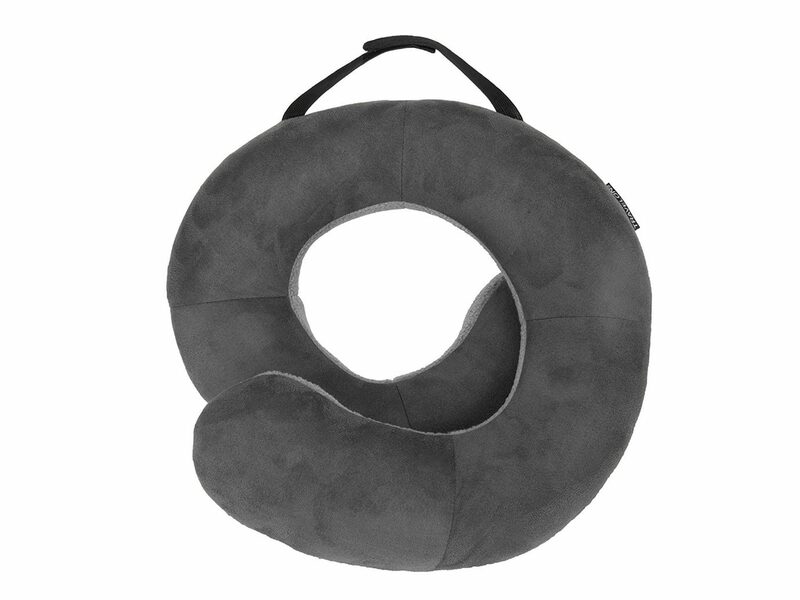 We love the Trtl neck support travel pillow because it's totally unassuming (it could easily pass for a fleece scarf). Plus, it's been scientifically proved to keep your head in a better position when sleeping upright. 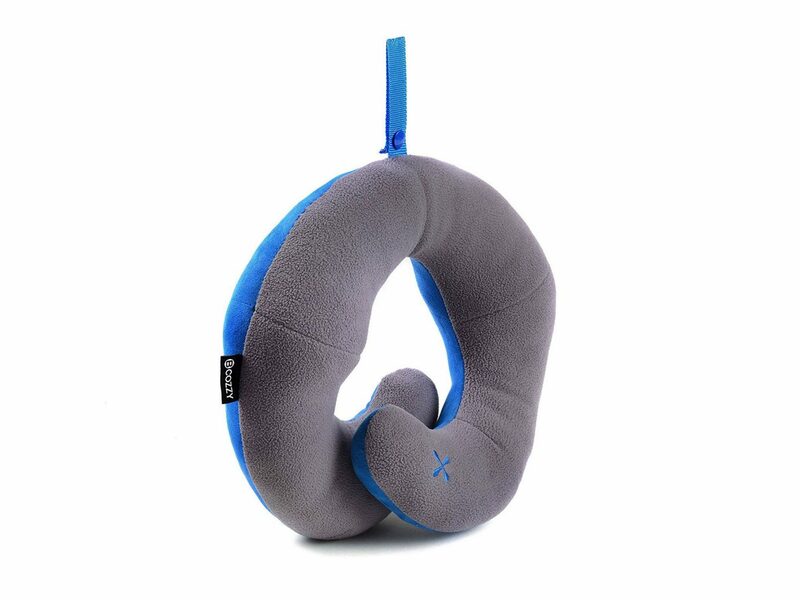 Another winner, the Travelon Deluxe Wrap-n-Rest Pillow may look like it's strangling you to death, but the shape provides excellent support to prevent your head from falling forward. Okay, we know what you're thinking: AWKWARD. But the Travelrest scores big with us. 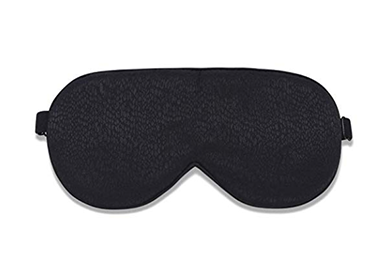 It's literally the only pillow out there that offers 100% support for the upper body so that you can fully relax and get the Zzz's you need. 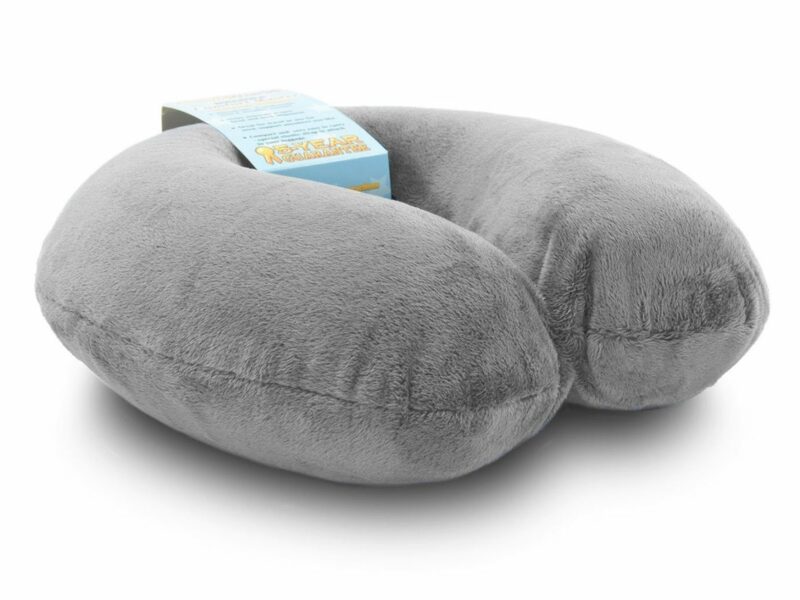 A great go-to, the Travelmate Memory Foam Neck Pillow is simple, comfortable (thanks to high-tech memory foam), and easy to pack. We love that you can adjust the thickness to suit your comfort needs. 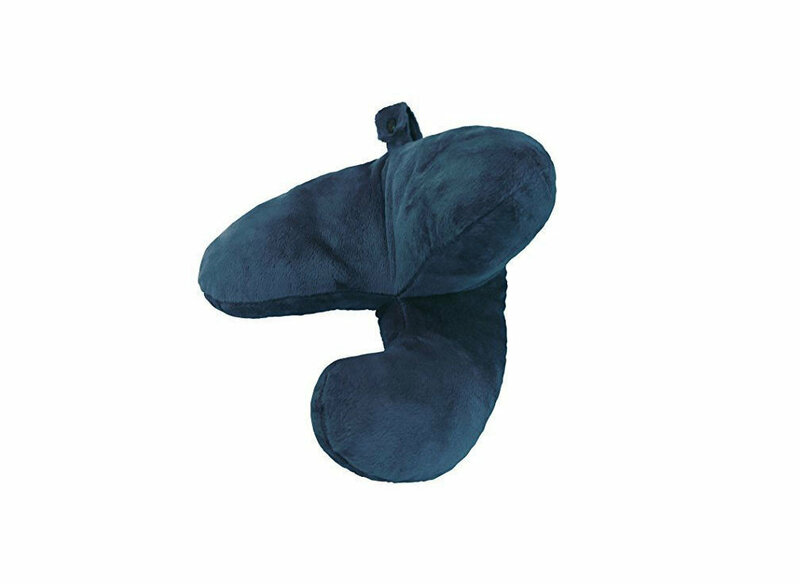 This memory foam pillow was originally developed by NASA, so you can bet it’s built to travel. 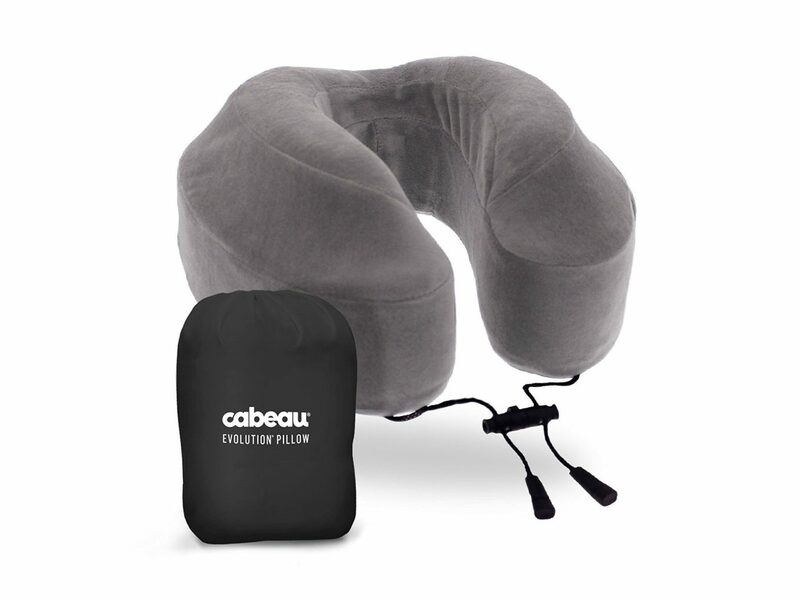 Features we love about the Cabeau Evolution Travel Pillow: a removable, washable cover, 360-degree head and neck support, and a flat back that conforms to your neck and won’t push your head forward. 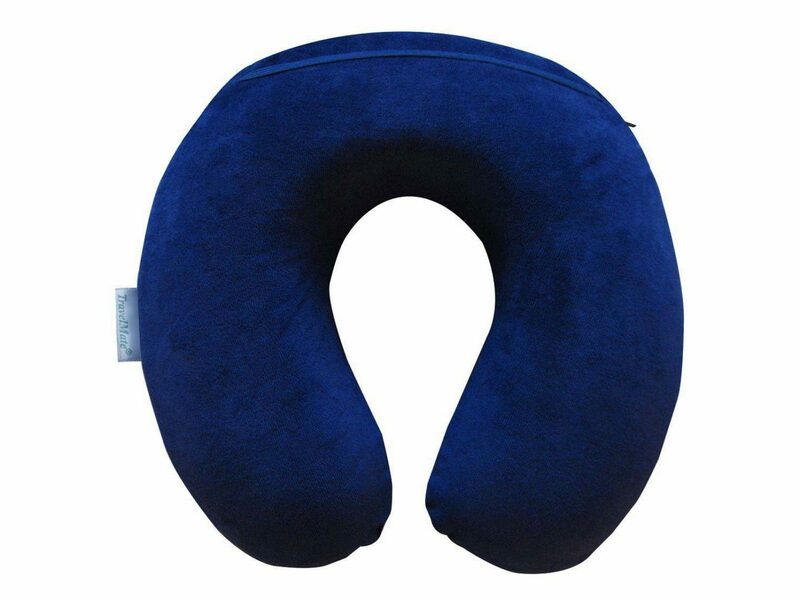 This travel pillow wraps comfortably around your neck to support your chin and keep your head in the correct alignment. 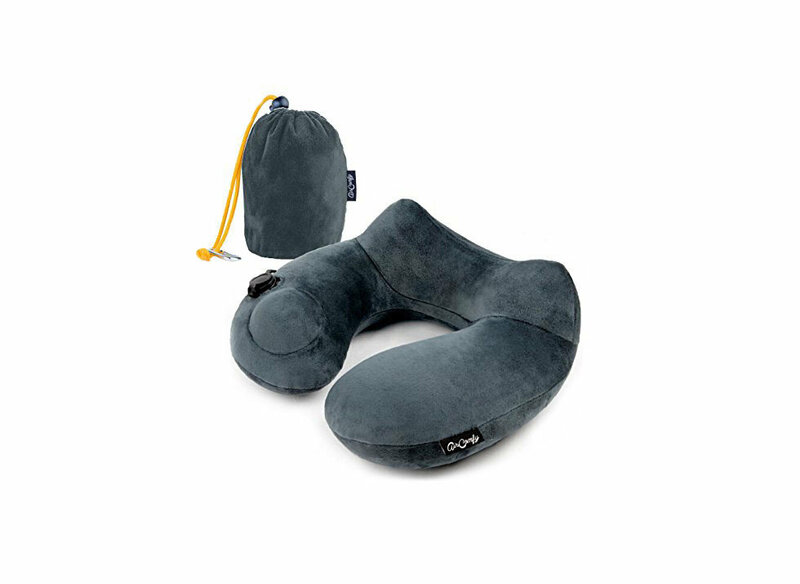 If you don’t want to have to carry around a bulky travel pillow, put this compact option on your radar. 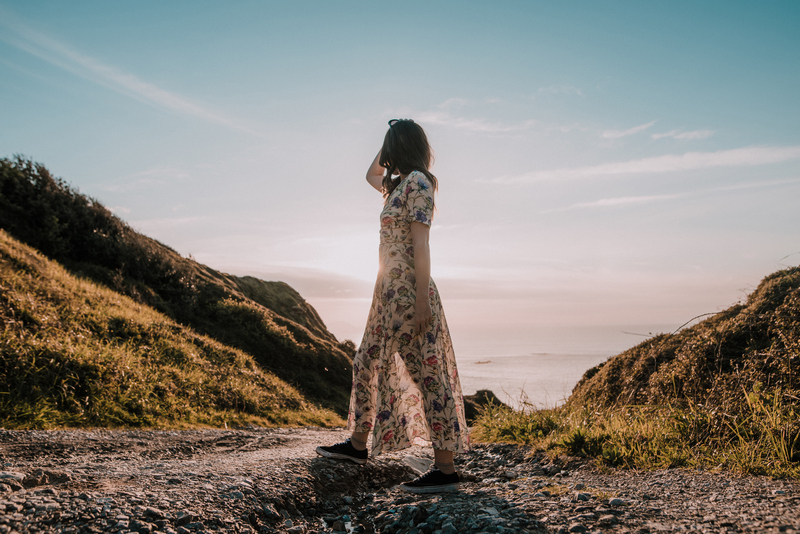 It inflates in less than 60 seconds via a built-in pump and comes with a satin-lined packsack and luggage clip, so you can easily clip it onto the outside of your suitcase. 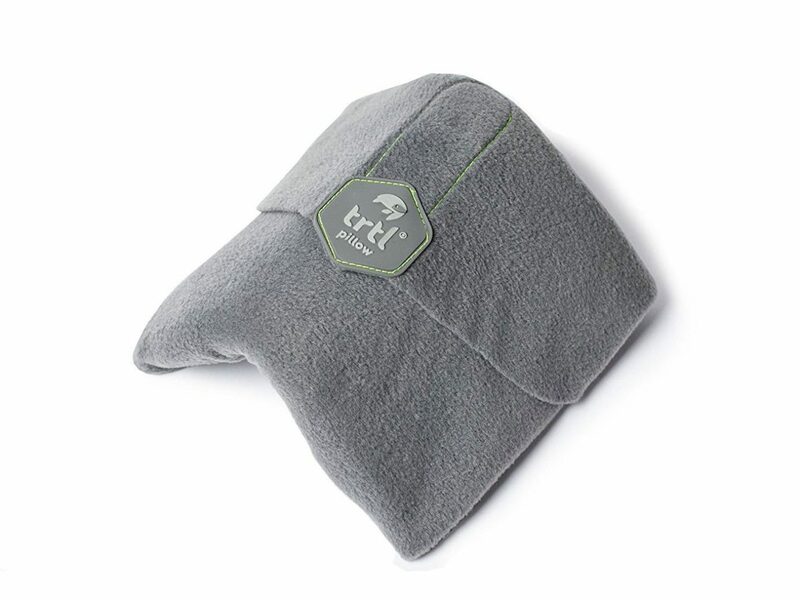 With more than 2,000 customer reviews and a 4.5 star rating, this pillow as praised as a “huge lifesaver” with “excellent quality and workmanship.” Users love its thermo sensitive memory foam composition and superior neck, chin, and shoulder support. 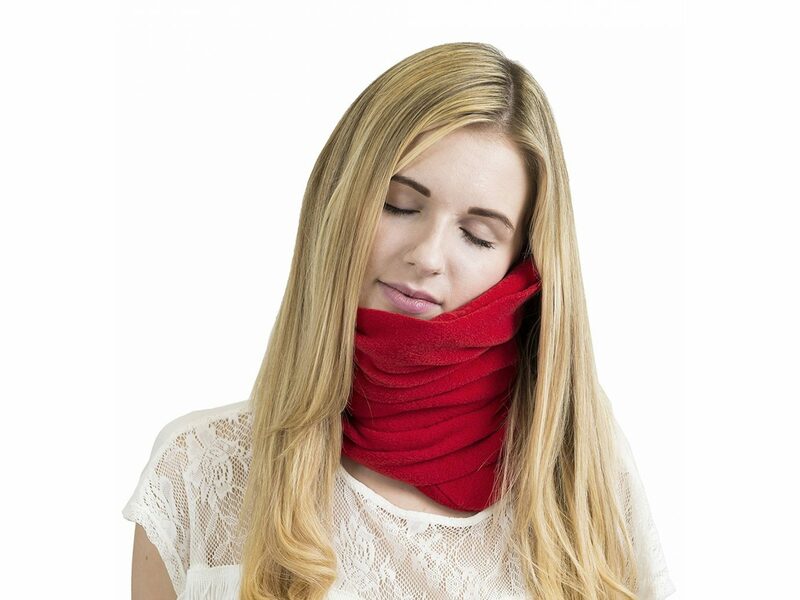 If you’re one to walk off the plane with a stiff neck, this ergonomic option, which feels more like a supportive scarf than it does a traditional pillow, is for you. 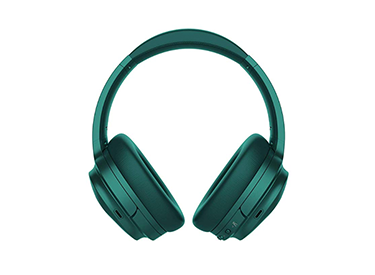 Another plus: it can be worn with big, over-ear headphones.